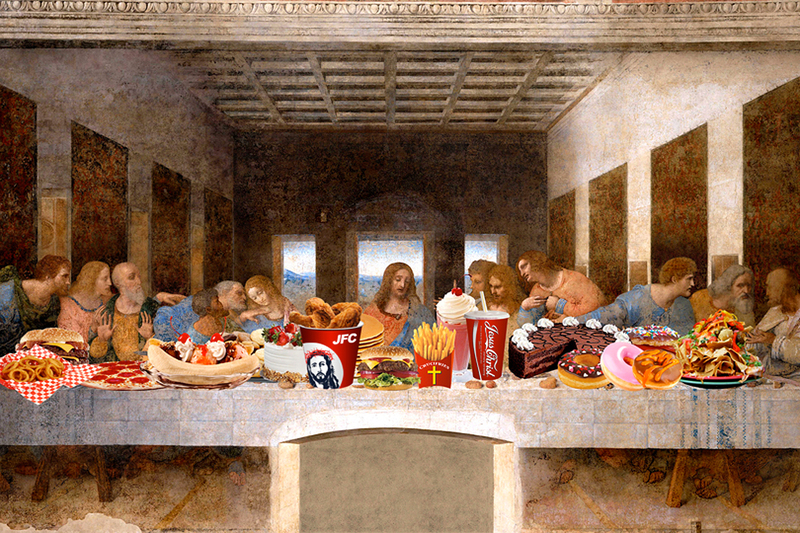 Remixing Leonardo da Vinci’s “The Last Supper”, the video depicts Jesus Christ consuming a variety of processed food including “JFC”, “Crucifries”, “Super Big Guts Soda” and “Holey Grail Donuts” until he explodes in an obesity-inspired rapture. With Carl Orff’s “Carmina Burana- O Fortuna” as background music. This video belongs to the art series “Sustainable Obesity”. The series of works explore the links between the obesity epidemic, the industrialization of our food chain, the agriculture biotechnology and its impact to our environment.